Add a stylish feather into your hair. 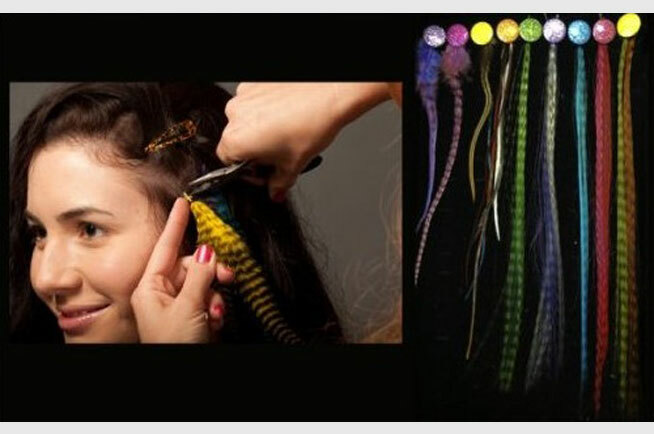 It’s a great eye catcher and adds to any hairstyle. 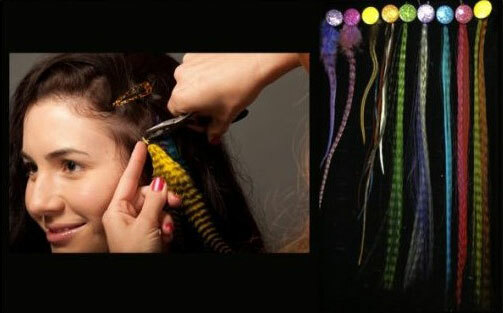 This is the non glue version of the popular fashionable hair feather extensions. This product includes a station that will catch the attention of your guests. There are dozens of different feather options. Choose your own style and the attendant will help you out.